Windows, whether big or small, are a wonderful way to let natural light in. Windows that can open are a nice addition to any home because, when opened, they allow a beautiful cool breeze to blow through your home. On a nice day, rather than using air conditioning or breathing in stuffy air, you could open up all the windows in your home and allow the fresh outside air to cool your home naturally. This is an incredibly energy efficient means of keeping your home comfortable and cool. But, when you crack open those windows the last thing you want to accompany a nice breeze is a bunch of flying bugs invading your home. In order to open your windows while still protecting your home, it is critical to have insect screens installed on all of your windows that open. Additionally, bug fabric doors are a wise investment for your home because they will add value to your home should you decide to sell it. Below are three reasons you should insect screens have installed on the windows in your home. As we previously mentioned, things that are outside should stay there – outside. The last thing you want are bugs flying into your home or dirt and debris being blown into your home by the wind. 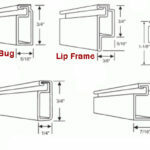 Bugscreens for windows effectively allow you allow the outside air in without allowing anything else that is unwanted. 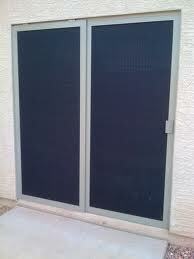 Insect doors are easy to install and easy to remove for maintenance and cleaning. A simple and mild cleaning solution and water to rinse the fabric will quickly and easily clean them. Simply remove them and prop them against a surface that can get wet. Rinse them with water from a garden hose, gently rub them with warm soapy water on both sides and then rinse thoroughly with the hose again. Once dry, they will be ready to be reinstalled on the outside of the windows. Screens for bugs are an important tool that helps protect you and your home from flying insects, birds, dirt and debris while your windows are open. But the last thing you would want is to install them and have your view obstructed. 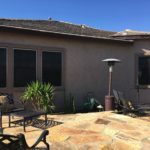 Today there are bug screens available that are made with a much more fine mesh that still accomplishes the intended goal but allows for a much better view from your windows.